Explanation: Is star AE Aurigae on fire? No. 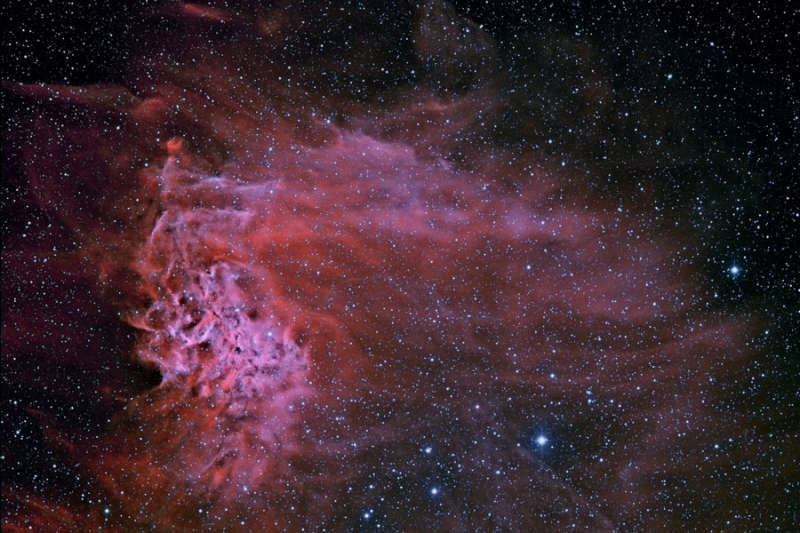 Even though AE Aurigae is named the flaming star, the surrounding nebula IC 405 is named the Flaming Star Nebula, and the region appears to harbor red smoke, there is no fire. Fire, typically defined as the rapid molecular acquisition of oxygen, happens only when sufficient oxygen is present and is not important in such high-energy, low-oxygen environments such as stars. The material that appears as smoke is mostly interstellar hydrogen, but does contain smoke-like dark filaments of carbon-rich dust grains. The bright star AE Aurigae, visible near the nebula center, is so hot it is blue, emitting light so energetic it knocks electrons away from surrounding gas. When a proton recaptures an electron, red light is frequently emitted, as seen in the surrounding emission nebula. 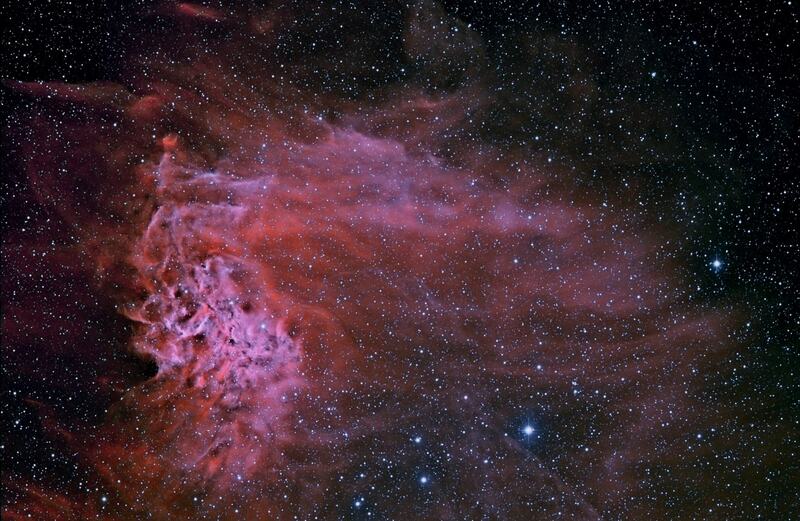 Pictured above, the Flaming Star nebula lies about 1,500 light years distant, spans about 5 light years, and is visible with a small telescope toward the constellation of the Charioteer (Auriga).